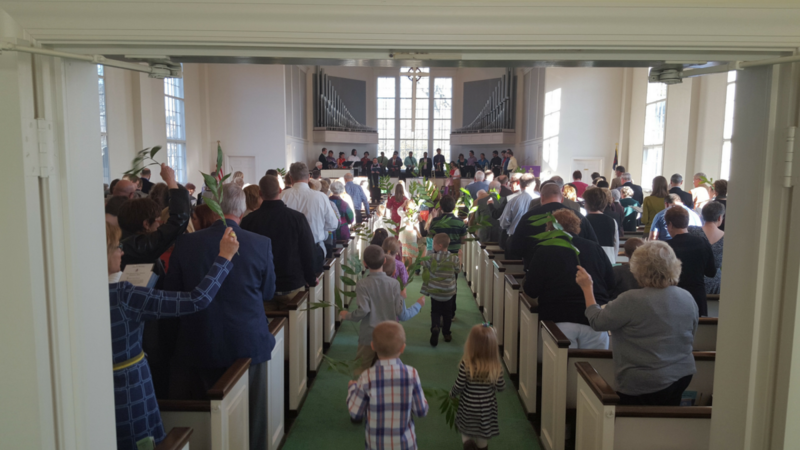 Join us at 9:00 am or 10:30 am for our special Palm Sunday service. Palm Sunday begins Holy Week, a time in the church year when we remember how Christ gave his life in love for the world. As this service opens, the crowd waves palm branches, wanting to crown Jesus as king. But as the story of the passion unfolds, their shouts of praise turn to demands for his crucifixion; he receives a crown of thorns as he is handed over to be mocked and killed.